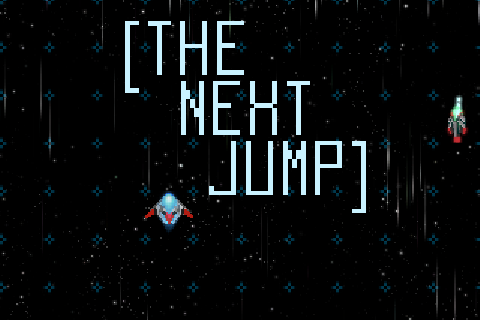 the NEXT jump is a turn-based shmup with roguelike ingredients. You are a pilot in pursuit of a Pirate Mothership that keeps its distance from you. To catch the mothership, you use “Jumps” to cross long distances… and inside those jumps hordes of pirates (each one with their movement pattern) try to kill you. Its a game about learning patterns, the enemies and yours! To move your Ship, click on the tile next to you. To shoot click on the shoot button… and the same to punch. Every move (click on the tile you wish to move) costs energy, every punch costs energy… every shot… Once you make your move, the pirates around you make theirs and so on. But you can pickup energy and Scrap (money) from fallen Pirates. I made everything on Stencyl 3.3, GIMP and Blender. Sounds are public domain and BFXR (site).